2019 brings in a new season and a new start for your life. A fresh beginning could mean a new job, a better outlook in a relationship, or even just being a better version of yourself. 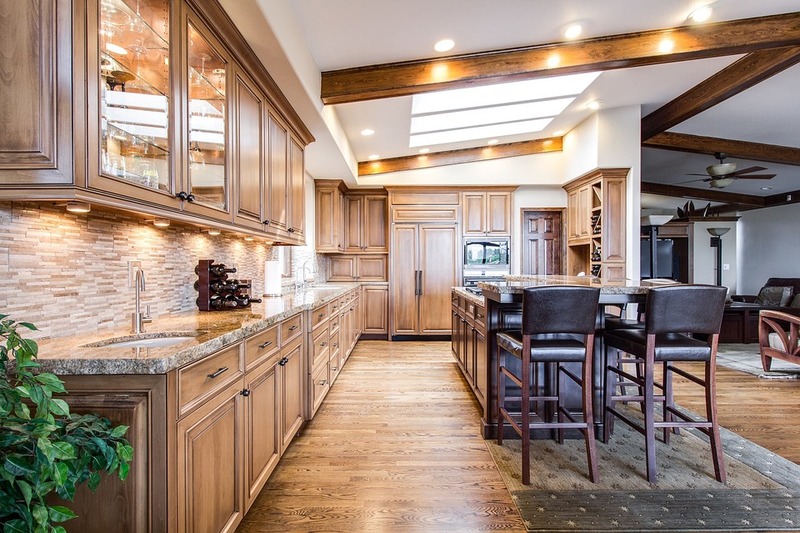 A person’s home is a reflection of oneself, and if you’re out to make 2019 to be a makeover of your identity, then you might want to take a look at improving the heart of your home – the kitchen. There are many ways to improve your kitchen’s look. From dealing with lighting up high in the ceiling to the bottom of your flooring, the kitchen is one unique playground that you should learn to spice up. Lighting is one of the most integral aspects of any room, and if you want to make a better impression of yourself to your guests, then developing it should be at your refurnishing task list’s top items. Sources of light can come from natural sunlight which can be opened up by introducing more windows or even just windowpanes to shed some light in your room. An open window would not only improve ventilation but also make for an excellent stylistic choice for rustic motif homes. Wide windows might look like an old design choice for a modern home, but they can be lined with LED strips for better lighting at night. The primary objective of refurbishing is in purchasing new sustainable material to replace the old. If you’re using natural organic material, such as marble or wood, then you might have already gone through the issue of rough patches or unfixable stains that seep through your worktops. Try switching to composite materials such as Granite worktops that have the similar look of marble which can come in stone or wave patterns. They come in lower prices and a longer lifespan due to it not having open pores by being pre-coated to avoid absorption of liquids. Its heat-resistant quality makes it a great addition to any kitchen, especially if it’s a busy one at that. The most underestimated part of a kitchen is its wall space. Since its mostly relegated for shelves and cabinets, not many people are used to improving the wall space with different attachments. Besides being a place for your utensils, you can also make use of having the walls as a trellis to grow indoor greens. Not only will you be able to farm a personal garden of your own, but you’d also be maximising the space that you have by having your home-grown ingredients right next to your kitchen. Choosing a sustainable flooring design is just as important as keeping your maintenance expenses low. Just as much as your worktops can get messy with stains and scratches, so does your flooring. Organic materials for flooring suffer the same consequences and difficulties of maintaining organic worktops. Alternative options to flooring such as vinyl laminate boast the ability to mimic organic designs while staying low-maintenance and easy to replace.